Is Your Water Well Malfunctioning? Want to Make the Switch to Well Water? After hearing about the advantages of well water, you're ready to make the switch. You won't need to search far and wide to find an experienced drilling company in the states of Montana and Wyoming. Just turn to the skilled team at Red Tiger Drilling Inc.
You can be confident that our highly trained crew will do the job properly. In addition to hooking up your new system, we'll help you determine which pump, waterline and pressure system are best for your needs. Call today to schedule water well drilling services. After we're done, your family can begin reaping the rewards of well water. If the pump on your water well suddenly stops working, rely on the knowledgeable team at Red Tiger Drilling to find a solution. We'll respond quickly to fix the problem. If your pump is beyond repair, don't despair. We'll install a new pump system so you can get the water you need. Go to the Pump Testing and Installation page now to learn more about our services.  If you need pump installation or drilling services in the states of Montana or Wyoming, you can count on the professionals at Red Tiger Drilling to do the job right. We'll go above and beyond to make sure you're pleased with the service. Visit the About Us page now to learn more about our drilling company.